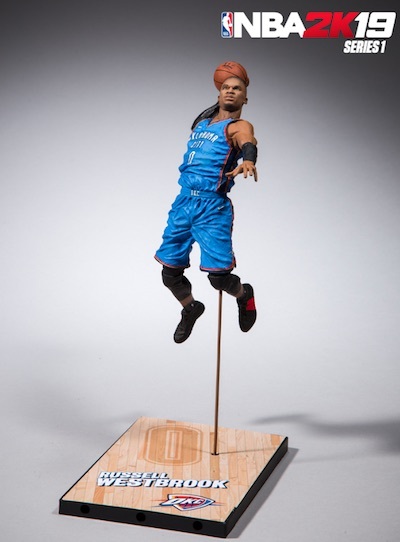 Tying in the popular video game as it celebrates 20 years of on-court excitement, the McFarlane NBA 2K19 figures offer collectors a new series of detailed basketball collectibles. 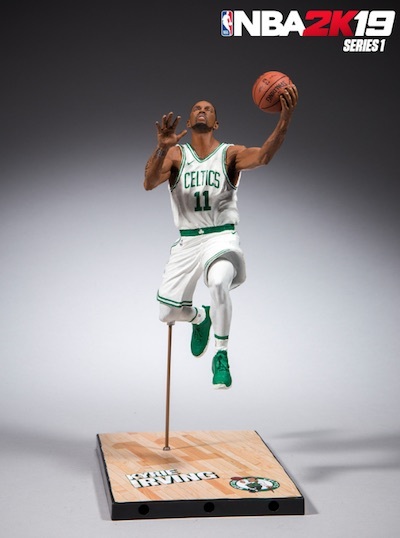 McFarlane has long made NBA figures, but this line takes its cue from the Madden version now common for the NFL figures. 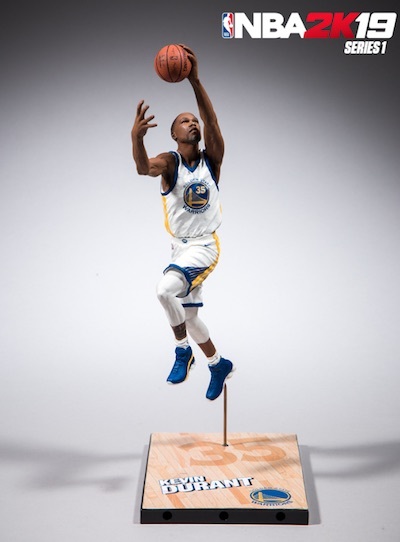 Although not specifically referenced, it appears that the new 2K19 figures replace the standard Sports Picks release that was last issued in 2018 via McFarlane NBA 32. In addition to the 7" editions for some of the top NBA players, each box includes a Locker Code redeemable for an in-game MyTeam pack. These digital packs promise a random Ruby Card for one of the players in the set. 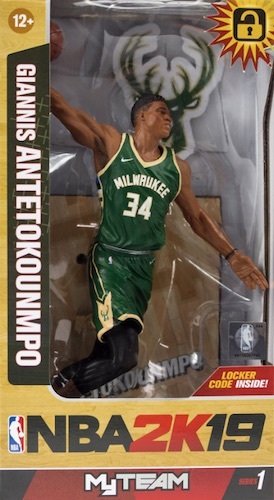 The McFarlane NBA 2K19 Series 1 set is led by the very first figure for Giannis Antetokounmpo, who happens to be the cover athlete for 2K19, as well. 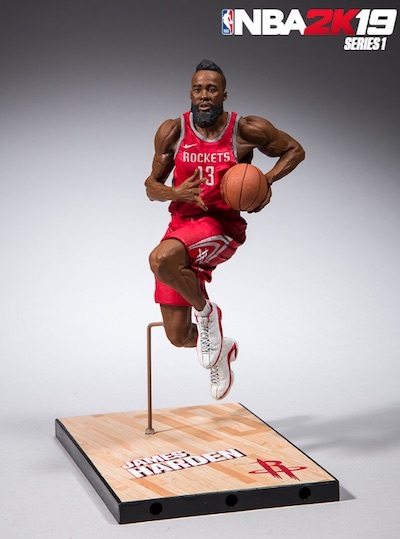 The lineup also includes new poses for James Harden, Kevin Durant, Kristaps Porzingis and Russell Westbrook, plus a Boston Celtics version for Kyrie Irving. 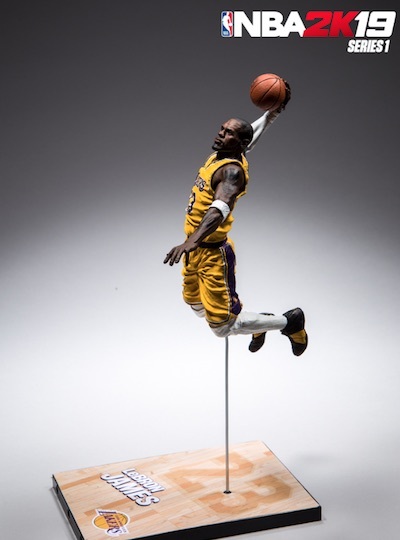 Another big choice for collectors is LeBron James as a member of the Los Angeles Lakers. This figure releases on Black Friday. Shop for specific players on eBay using the links below. So how should I go about getting the Lebron James (Black Friday edition)? 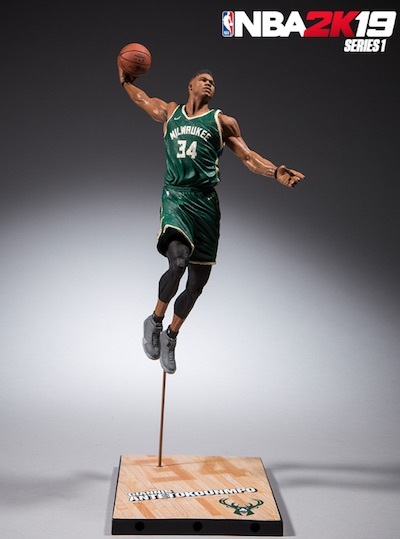 Does the McFarlane or Walmart websites open up sales on Black Friday or do you need to physically be at a Walmart on Black Friday? Thanks. 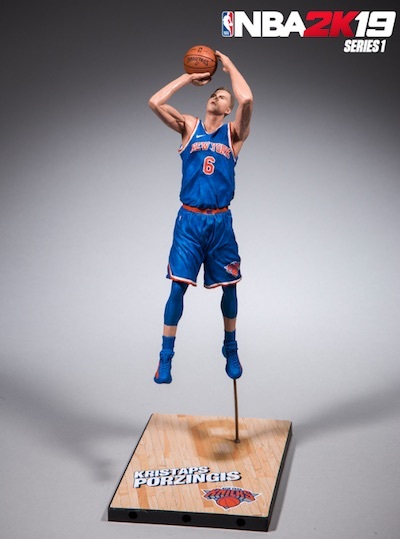 No additional details were provided about the LeBron figure. It is just going to start being sold on Black Friday.